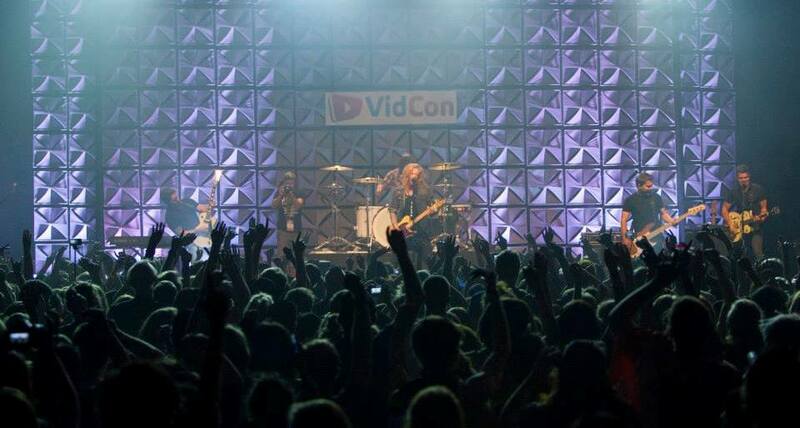 More than 18,000 online video fans and creators are expected to flood the Anaheim Convention Center for the fifth annual VidCon June 26-28, 2014. YouTube will once again be the title sponsor of the event. Many of online video’s most recognizable personalities have already been confirmed for VidCon 2014 including: Charles & Alli Trippy, Charlie McDonnell, Freddie Wong, Grace Helbig, Hank & John Green, Hannah Hart, iJustine, Philip DeFranco, Toby Turner, Ze Frank, Jack & Finn Harries, Tyler Oakley, The Gregory Brothers, Wheezy Waiter, Dane Boedigheimer (The Annoying Orange), The Fine Brothers, Rhett & Link, Shay Carl, Zoella, Tanya Burr, Jim Chapman, Marcus Butler, Caspar Lee and Troye Sivan. In a show of the strength of the online video community, it has been announced that YouTube will be a title sponsor of the online video conference, VidCon, for the next two years. The 2013 VidCon is expected to have more than 10,000 online video professionals, content creators and fans in attendance. Since the event’s inception in 2010, YouTube has been a supporter and sponsor. While the specifics of their title sponsorship will be released closer to the event, it’s clear that the decision will give YouTube a strong presence both this year and in 2014. Noted as “the largest industry conference and fan extravaganza in the world for online video” VidCon is set for August 1-3, 2013, at the Anaheim Convention Center in Anaheim, CA. Industry Day, which is geared toward professionals and the online video business, will be on August 1.